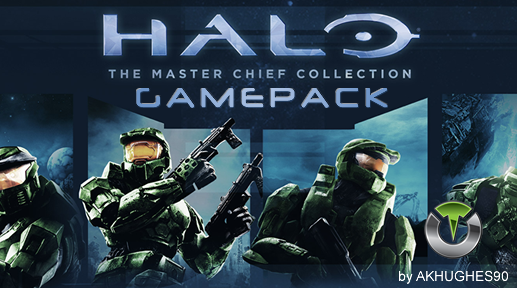 Halo: The Master Chief Collection (H1,H2A,H3,H4 by AKHUGHES90) Gamepack for Titan One. When rapid fire is enabled, you can turn virtually any weapon into a fully automatic weapon. This creates a very unique advantage for players using semi automatic weapons. While rapid fire will not usually make a fully automatic gun shoot any faster, it can have positive side effects on fully automatic guns such as reducing recoil, helping players conserve ammunition and achieve more headshots. You can quickly toggle this MOD on/off with VIEW + RT. Dual independent applies the rapidfire MOD to the left and right weapons. Dual firing dual weapons means that the player must awkwardly pull both the left and right triggers. This can make aiming more difficult. When the Dual Easy feature is turned on, pulling the right trigger alone will fire both weapons using rapidfire. Jump MODs makes your character perform a special sequence to be harder to shoot at. Spring jump is a macro that makes you jump extra high on your second jump. Hold Jump button to perform this. Sprint your character by quickly moving the forward stick twice. Auto pick up and drop flag (or bomb) for faster running. Double melee is a MOD for H1 that melee's twice in rapid succession by throwing a grenade in between. Hold Melee to perform this action. Choose what button activates flag carry. Choose what button activates the Spring Jump. Have Spring Jump activated by D-Pad Down.